Class of 2K16: Tara Sim's TIMEKEEPER is out in stores now! Tara Sim's TIMEKEEPER is out in stores now! 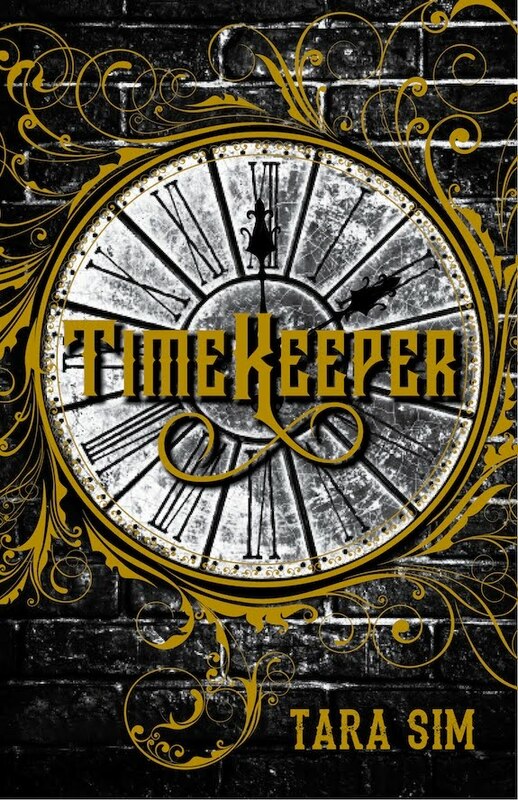 I'm excited to finally see Timekeeper out in the world! Tara Sim's LGBT steampunk novel has drawn great reviews for it's innovative world-building and cool alternate-historical setting. "Timekeeper is an extraordinary debut, at once familiar and utterly original. Between its compelling world, its lovely prose, and its wonderful characters, the pages flew by." "Alive with myth, mystery, and glorious romance, Timekeeper will keep hearts pounding and pages turning til the stunning conclusion. Reader beware—there's magic in these pages." "Part mystery and part romance, this fantasy novel delves into what it means to grow up and make important decisions. With an easily relatable main character struggling to fit in, the novel has a realistic and contemplative voice. VERDICT: A must-have richly written fantasy novel that will have readers eagerly anticipating the next volume." "Sim creates a cast of complex and diverse characters, as well as a mythology to explain how the clock towers came to exist . . . an enjoyable, well-realized tale." "This LGBTQ steampunk romance sports a killer premise and admirably thorough worldbuilding, helpfully annotated in the author’s afterword. The characters—even the bad guys—are sympathetically drawn and commendably diverse in sexuality and gender." I studied abroad in London in 2010, and while I was there I fed my fascination with Big Ben. I’ve always loved the clock tower for some reason, and I even bought a little keychain replica of it while I was there. A couple years later I was trying to think of a story idea as I drove to work, and I happened to look at the keychain dangling by my hand. I started to wonder if clock towers somehow created areas of time—and if something happened to the towers, something happened to time, too. If mechanics would be assigned to fix them. If one of these mechanics found a broken boy in a broken clock tower. It went on from there! This actually changes for each book I write, but for TIMEKEEPER I had the idea almost first thing in the morning and spent the entire day scribbling in a notebook. I jotted down character ideas, plot ideas, world ideas. And when I went home that night I was so revved up that I went ahead and started writing the first scene. I usually don’t hop into the story that fast, but it worked for TIMEKEEPER! Usually I’ll let the idea marinate for a while—a few days, a couple of weeks, a month. Then I’ll write the first draft, which takes anywhere between one and three months. I tend to draft fast. I’ll then let it sit for a bit, read it through and revise it to the point that it’s acceptable for human eyes, and send to critique partners. With their feedback I’ll revise it however many times as necessary to get the story where I want it. In those revisions it’s not unusual for me to add more layers of worldbuilding/plot. After being in Pitch Wars 2014 (which was so much fun and a lot of hard work), I queried Laura Crockett at Triada US because I heard that she enjoyed historical and fantasy, and also loved England. So I thought, why not? She asked for the first few chapters, and pretty soon after that said it wasn’t enough and wanted the full. Later I learned she had sped through the whole MS on Thanksgiving Day because she couldn’t put it down! Shortly after that she offered me representation, and so far it’s been a happy union. We did one round of revisions on TIMEKEEPER before sending it out. This was around the time I went to India, so that was a good distraction. After a little while we heard from Alison Weiss at Sky Pony Press that she wanted to acquire the whole trilogy, and I was ecstatic! There are magical clock towers, for one thing. For another, there are cute boys. And time magic. There’s also a mystery element to it, as well as long-lost gods/mythology and a steampunk-flavored Victorian London. It’s also a story about loss and love, and trying to reconcile sorrow with joy. Some (*some*) of favorite books of all time are The Lord of the Rings, Harry Potter, The Song of the Lioness, The Great Gatsby, The Time Traveler’s Wife, Outlander, I’ll Give You the Sun, The Grisha Trilogy, The Song of Achilles—I can go on and on. Right now I’m reading This Monstrous Thing by Mackenzi Lee. A gothic steampunk retelling of Frankenstein? Yes, please!